Welcome. We’re off to another great year as festival #11 has seen steady submissions and a real interest in the business of film. Our infamous Animation Festival tickets are on sale! Get them here BUY Animation Festival tickets. We have a great program lining up with selections from Iran, the US, Holland, and more already accepted to screen. Tickets are $5 for this special event (that takes place during the annual festival). 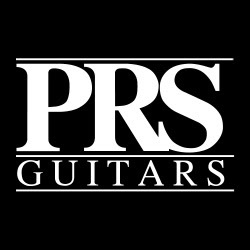 Thank you to #PRSguitars and Gearstuff.com for your ongoing support. Thank you to Tel Aviv Actors and Theatre Artists Yael Rasooley, This was clearly the best year we have had and they just seem to be getting better. As artists we can’t thank you enough for working through our kinks and 24 hour days. Shalom! 87 films screened ~ what happened at the 9th Philadelphia Independent Film Festival? Welcome back! As we work towards festival #10 in May 2017, we are looking forward to demonstrating and discussing what’s next in Independent film. We hope you join us online and in the theater. If you see us out, please say hello. We have been setting up at Dave & Busters at Ken McGregor and John Mitchell’s event. Stop by and say hello. this is a fantastic event and we’re proud to take part! Until then, we’ll see you at the theater. As we have been discussing on Twitter, Facebook, and a bit more on Quarom, the eco-system has been seeing interesting activity in Q3, Q4 of 2016 and continuing on in Q1 in 2017. 2017 and 2018 are shaping up to be genuine convergence of technology, information, content, and interaction of culture and data enabled processes. Date: November 9th to December 31st, 2013. 2016. Subject: Notes. Goldenberg Group Market8 Urban Entertainment Center proposal. Idea: Quickly enable a Digital Media Strategy (DMS) to gauge and measure project supporters. Enabling the Eco-system via Experiential Engagement. Provide support via phone and Twitter to activate stakeholders and web users. Provide discussion points and insight into current social and digital media trends. @PhilaIndie festival #8 happens and people pack the house. Now what? It’s been a few months since the festival partnered with Philly Tech Week #PTW16 and camped out at the University of the Arts. We had never tried to screen in one space and in the spirit of us moving around the city since 2011, we took the task to heart. It was an exciting time for all of us. The combination of 87 films with yet another fantastic and enthusiastic crowd showed Philadelphia and the world that the Independent film is alive and well. We are proud to have screened films from as far away as the Middle East (Iran and Israel), Italy, Montenegro, UK, Spain, Holland, all over the United States and much more. We produced multiple live webcasts that drew more people than attended the festival live. Our on going (circa. 1997) discussion of our (human) relationship with digital media continues to push the envelope. Local Independent film is thriving and will always be well represented at the festival. It was great to see so many new faces. It shows the #PHL film community is much, much larger than anybody knows. We are proud to be part of and contribute regularly to the ever evolving landscape in Philadelphia film for almost 20 years. We support the #PHLfilm creative and business community and so should you! What’s next for us? 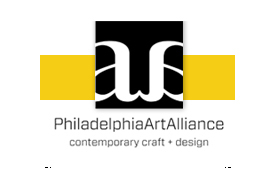 We plan to continue our UArts, Philadelphia Art Alliance and or Philly Nexus events where we discuss and introduce new and evolving artists, filmmakers, tech heads and people who want to discuss the current memes. We’ll continue to do these events and focus on working with local filmmakers to premier local films. 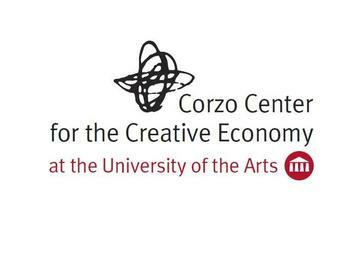 The UArts Gershmon Y and the Corzo Center for the Creative Economy are fantastic venues to premier films. The Gershmon Y has a 600 seat capacity theater with some of the best projection the city has to offer. We feel honored to present at such venues with such talented people. Thank you again for continuing to make our festival such a success. We hope the past 9 years have shown our dedication to the craft as a craft and we look forward to seeing you out, online and buying tickets to all screenings (that’s all festivals people) through out the year and for many years to come. If you see an independent shoot on the streets of Philadelphia, buy the set some joe from a local shop. They’ll love you back for sure! Feel free to contact us or interact with us online where we are active daily. Unemployment numbers may have fallen to their six-year low last week, but J.P. Morgan’s Diana Farrell says there’s reason to worry over that jobs report: It took 80 months. With the past five recessions, the recovery of jobs has taken “longer and longer”, Farrell said today at Fortune’s Most Powerful Women summit in Laguna Niguel, California. A former Obama economic aide, Farrell left the post in July head up the J.P. Morgan Chase Institute. She says the economic improvements in recent years have not been total. “Growth and efficiency are not enough for a participatory economy,” she says, noting that jobs have not come back fast enough. Longterm employment, particularly among the young is especially worrying to her.